No. 8 lightweight contender Anthony Pettis is moving up a weight class to take on No. 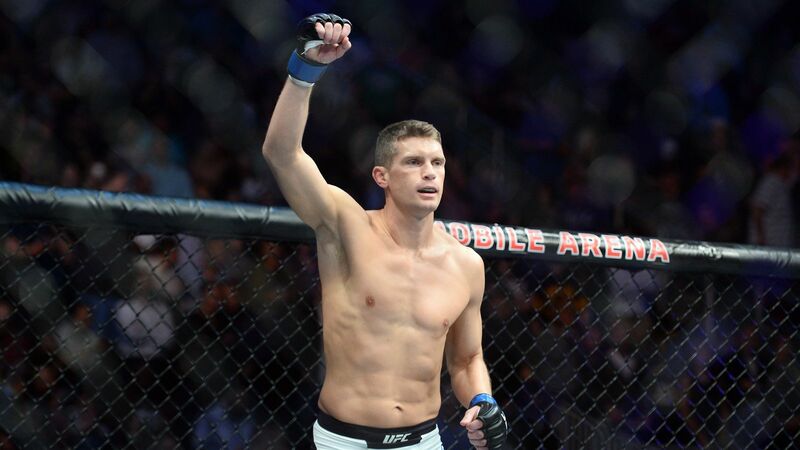 3 welterweight Stephen Thompson in the main event of UFC Fight Night 148 in Nashville, Tennessee. The fight pits two flashy veterans against each other in a bout that has the potential to put Thompson back into the welterweight title picture. Thompson (14-3-1) is a champion kickboxer who was once one of the hotter fighters in UFC, winning several fights by knockout on his way to a title shot against Tyron Woodley. The two fought to a draw before Woodley won a decision in their second encounter. Thompson bounced back with the win over Jorge Masvidal, but lost his last fight against Darren Till at UFC Fight Night 130 in May 2018. Now, out of action for nearly a year and having won just one of his last four fights, Thompson says he is ready to remind people that he deserves to be among the division’s top contenders. Meanwhile, Pettis (21-8) is moving up to welterweight for the first time. The former lightweight champion claimed his belt back in 2013, but fell into something of a downward spiral starting with a loss to Rafael dos Anjos at UFC 185. He has now lost six of his past nine fights, though he has looked better as of late: he submitted Michael Chiesa at UFC 226, and looked good against Tony Ferguson at UFC 229 in October before breaking his hand. All of that action came in the lightweight division (with a brief appearance at featherweight). Now, Pettis says he’s excited to take on the challenge of moving up to 170 pounds. While that easier weight cut certainly has its advantages with Pettis, it also highlights the fact that Thompson is the bigger fighter. That size advantage has made Thompson a prohibitive favorite heading into the bout. At Bovada, Thompson is a -380 pick to get past Pettis (+290) and continue his climb back towards the welterweight title discussion. The co-main event at UFC Fight Night 148 is a clash between heavyweight contenders Curtis Blaydes (10-2) and Justin Willis (8-1). While Blaydes (-265) is coming off a quick knockout loss to Francis Ngannou in November, his wrestling skill is expected to be enough to overcome the larger Willis (+205), who is undefeated so far in four UFC fights.